Akosee Resort Wear with flattering cuts fun to wear colors we love! Resort Wear is always a fun purchase. Although Singapore gives us many choices, we sometimes search high and low for imaginative patterns, fun, resort colors and flattering cuts that drape well – in short, we seek the ultimate resort experience with a wardrobe to match! We have unearthed one such resort wear label that blends well with our vision for ‘style meets comfort’ in resort holidays – Akosee brings color, cuts and bold designs for our holiday wear experience! Here are some of their Spring-Summer 2019 picks that we love! 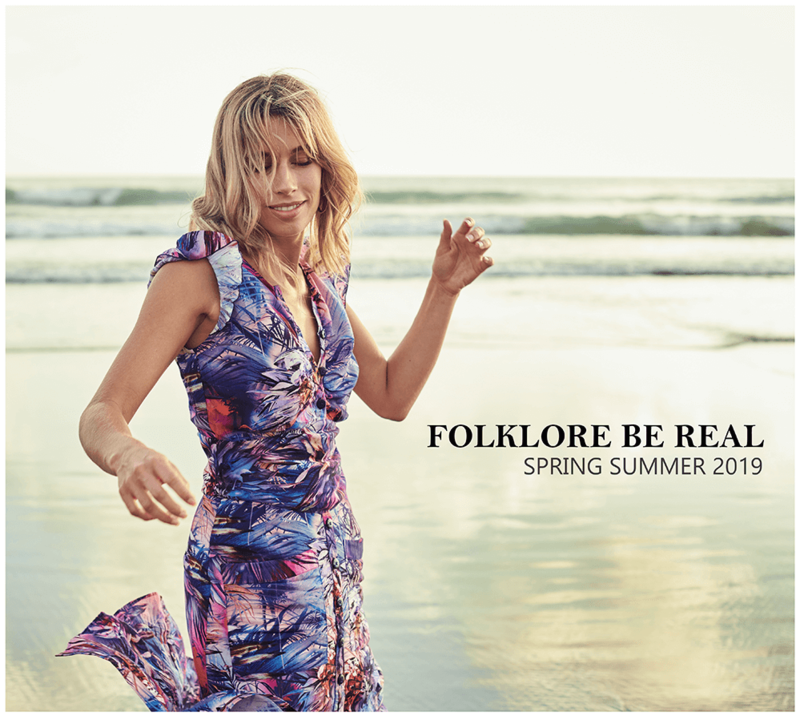 ‘Folklore Be Real’ has a whimsical yet tropical feel with bold prints and neon hand embroidery. Imagine Shakespeare’s ‘A Midsummers Night’s Dream’ within a jungle setting. Named after feminine mythical creatures such as Queen, Sprite, Nymph, Goddess, these pieces invoke contrasting elements of a delicate yet bold theme. This newest line sees beautifully draped and cut summer dresses, skirts, jumpsuits, trousers and tops set in the company’s trademark silk cotton, as well as light viscose and cotton blends. Easy to wear kimono style cover-ups stay true to Akosee resort’s feel, however this Spring-Summer 19 collection has a more grown-up feminine feel. Asymmetrical dresses with waterfall hems, flattering bias-cut waistbands feature heavily throughout the collection. All pieces are designed to make up your ultimate summer capsule wardrobe. This outfit is made with printed silk and cotton blend fabric and both pieces are fully lined with 100% cotton. These are natural breathable fabrics and perfect for warm weather. We printed the design especially for Akosee. 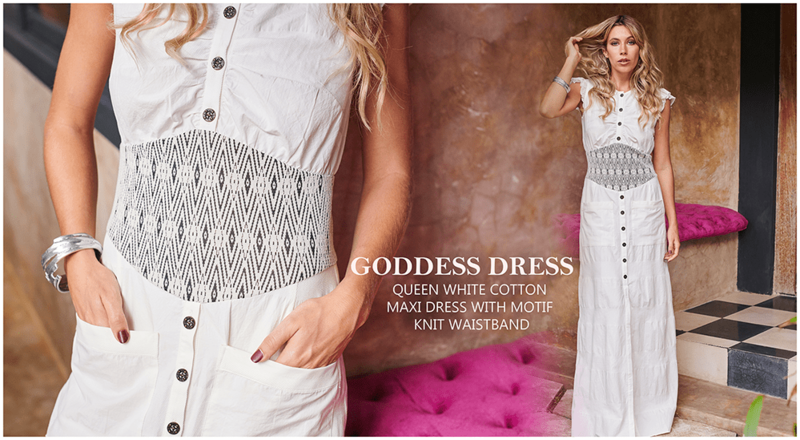 Our Goddess Top has kimono-style sleeves and a bias-cut waistband to flatter everyone’s figure. The Bondi Skirt has a yoke that flatters and sits on the hips. This skirt also looks great with a white T-shirt. Another one of our favourite styles, the Queen dress is a maxi length with short frill sleeves and a button up front. It is striking with its soft navy blue viscose and shades of blue with neon orange red hand embroidery on the waistband. We hand drew out the embroidery designs and had them embroidered onto the bias-cut waistbands. How come there are only Spring-Summer collections? We are a women’s summer and resort-wear label. Whilst we will be bringing out two collections this year it will still be very much summer and resort focused. Our current collection features our bias-cut waistband which is very flattering to all sizes and shapes. What makes Akosee stand apart from other brands? Is Singapore a challenging market to be in? Singapore has a lot of other fashion options, but that is because there is a market for it. We offer something a bit different and it appeals to locals and the expat community. Luckily, shopping fairs, pop ups and markets are regular occurrences in Singapore. Akosee was founded in 2015 but the business has been ramped up several notches since the end of 2016. The label was launched by Anna McBride, an Australian expat living in Singapore. She holds a Diploma in Fashion Design and Technology and creates all of the patterns for her brand Akosée. She also designs the garments personally, along with her great team. For more designs visit the website.